← Watch Out PM Lee! Here Comes M Ravi! SINGAPORE: Indian Singaporeans (Yes Mr Tan. 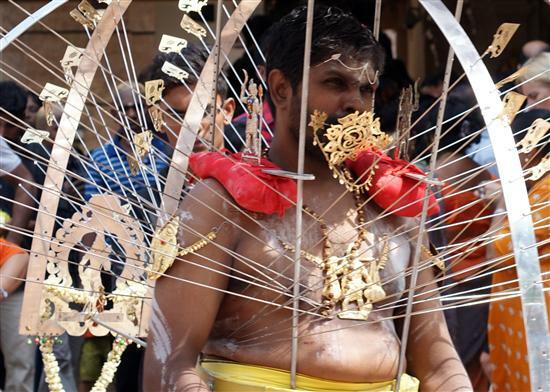 There is such a group in Singapore) celebrate Thaipusam today with a procession of devotees carrying kavadi along Serangoon Road. The festival commemorates the occasion when Parvati gave Murugan a Vel “spear” so he could vanquish the evil demon Soorapadman. Tan Kin Lian is a former Presidential candidate (Note: That’s for the President of the Republic of Singapore, not the President of the SPCA). 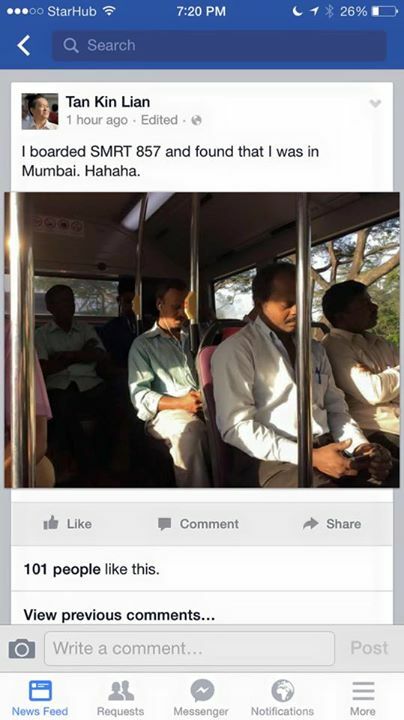 We at TSB would like to wish all Indian Singaporeans (Yes Mr Tan. There is such a group in Singapore) a Happy Thaipusam and being a multi-racial country, to all Singaporeans in general especially to Tan Kin Lian whose `love’ for Indians was demonstrated when he boarded a bus just to feel how it would be like to live in Mumbai.